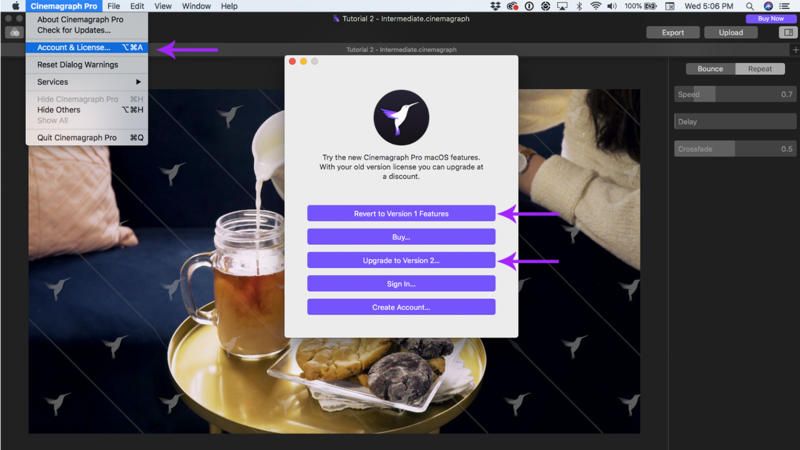 Cinemagraph Pro for Mac (Version 1) licenses were available for purchase on the online Flixel Store prior to October 27, 2016. License codes were not issued for older versions of the app. If you purchased Cinemagraph Pro for Mac before October 27, 2016, your license will be activated with a license file sent via email upon purchase. Cinemagraph Pro for Mac (Version 1) license files were issued via email at the time of purchase on the online Flixel Store. The name of the license file will be in the following format: YourName.CinemagraphLicense. Contact us if you can't find your license file. After dragging and dropping your license file onto the app, you can try version 2 features including crop & straighten, tone curve adjustments, and custom presets. Version 2 will be in trial mode and show a watermark but you can remove it by reverting to version 1 features. 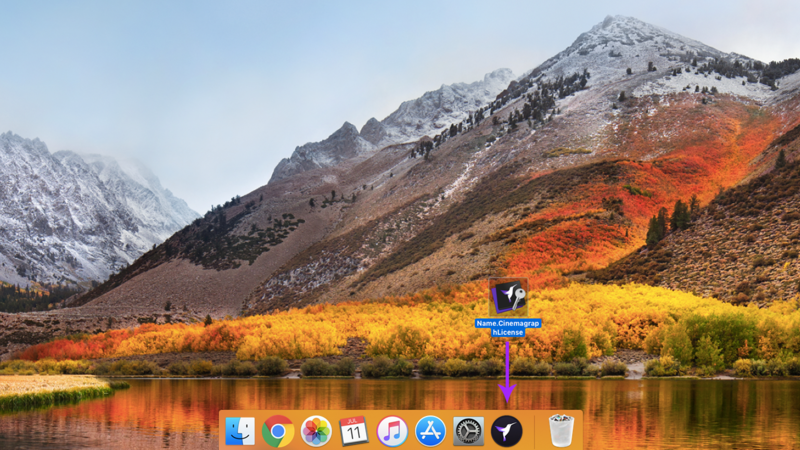 Go to the Account & License window under the Cinemagraph Pro menu or use the keyboard shortcut ⌥⌘A (Option-Command-A) to revert to version 1 features or upgrade to version 2. If you're unable to remove the watermark, follow the steps outlined here to troubleshoot.